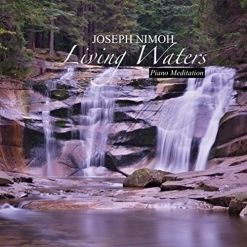 Living Waters is the second album from pianist/composer Joseph Nimoh, and is a collection of eleven original solo piano hymns. Born and raised in Ghana, Nimoh started playing the piano at his mother’s church when he was eleven. He went on to study Piano Performance at the Berklee College of Music in Boston, MA, where he also served as the pianist and music director of several churches in the New England area. Nimoh’s music is an effortless blending of classical, jazz and gospel music genres and is designed to inspire hope and to bring healing to his listeners. A gentle, embracing warmth runs through all of this music and simply makes you feel good - or at least better! The music is elegantly played without a lot of bravado, and sincerity flows from every note. Anyone who loves beautiful solo piano music will enjoy this album, regardless of religious affiliation. 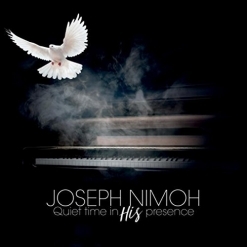 Joseph Nimoh brings a very special element to his music that is a joy to listen to, and I am really looking forward to getting better acquainted with this new artist and his music! Living Waters can provide a quiet backdrop for other activities, but give your ears and your soul a treat and listen to it with full focus! Living Waters begins with “I Am Yours,” an uplifting expression of devotion and surrender - a lovely start! “I Trust In You” is a quiet prayer that comes from the heart with openness and simplicity. “Maker of the Universe” picks up the tempo a bit but maintains the gentle touch of the previous pieces. “Moses’ Song” goes in a more gospel direction and has such a strong melody that it seems like it would have words that go with it - a favorite. “My Shield” is an absolutely gorgeous ballad that says much more than words ever could with its slowly-flowing melody and heartfelt expression of love - also a favorite. “Secret Place” seems to look inward as the tone of the piece goes somewhat darker. It feels like a place of reflection rather than of struggle, so there is no turbulence, just deep thought and introspection - my favorite piece on the album. “Thy Word Is Life” is a sweet meditation that expresses an abundance of warmth and gratitude. The graceful flow of “Under Your Wings” seems to convey feelings of comfort and a sense of security - beautifully soothing! “You Are My All” brings this excellent album to a peaceful close with a smile and a silent prayer. Living Waters is a wonderful listening experience from the first note to the last, and I highly recommend it. It is available from Amazon, iTunes and CD Baby.